Due to continued expansion we are looking for Software Developers to join our innovative Applications Engineering department. As an experienced Software Developer you will have the opportunity to design, develop, test and maintain bespoke applications and services to our customers. If you are looking for a role where you can make a difference, this is the role for you! 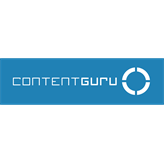 Content Guru is a multi-award-winning communications platform provider based in Bracknell which delivers powerful and sophisticated solutions to customers across a huge variety of vertical industry sectors. Content Guru works at the cutting-edge of solution-driven technology, with industry recognition including the Queen’s Award for Enterprise in the Innovation category (2016). The diverse, talented, and dynamic all-graduate Engineering team provides state-of-the-art communications technology through the storm® platform. As pioneering market leaders working on both hardware and software, including ground-breaking Artificial Intelligence, our Engineers play a crucial role in the development and maintenance of our products. We are a rapidly expanding company full of enthusiastic, highly intelligent individuals, working quickly to deliver on tight deadlines. With regular company social occasions, opportunities to travel to our growing network of international locations, and excellent paths for development and progression, this is an exciting workplace at the forefront of the industry. We welcome talented and tenacious individuals to join us on our journey. Want to get notified about new jobs at Content Guru?